From professionals, to educators, to hobbyists, Altair printers help the user be more efficient with state-of-the-art features. With the click of a button an Altair printer can calibrate its print bed automatically, making it easy to get accurate prints and optimal first layer adhesion. The all-metal hot end can print at high temperatures allowing versatility in materials selection. 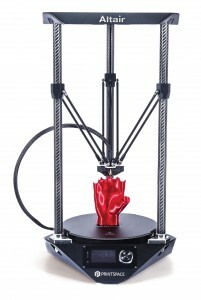 Choose from PLA, Nylon, Bluprint, PETT, PVA, Laywood and more. Get printing faster. Auto-calibration is completed in less than three minutes. Our Instant-on bed heats up in less than one minute. With the click of a button the Altair printer can calibrate its print bed automatically making it easy to get accurate prints and optimal first layer adhesion. The Instant-on heated bed heats up in less than 2 minutes. The bed is also removable, making it easy to remove prints upon completion. Yep. Altair has that too. The NOVA hot end, auto-calibration system, and CarbonGlide technology work together to achieve excellent looking prints. This low profile hot end designed by PrintSpace 3D, allows for greater capabilities. 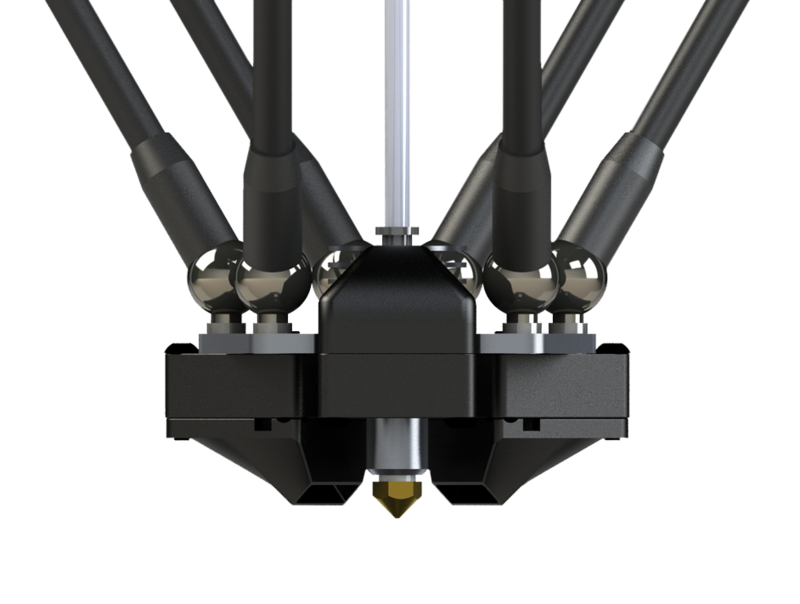 Magnetic arms allow quick release, a triple fan cooling system ensures excellent resolution, and the fact that it’s All-metal means you can print with a huge range of materials!